Editor’s Note: While I wasn’t able to make this year’s Nelsonville Music Festival, my good friend and damn fine photographer, Mara Robinson was there with her husband Jason Robinson. This is the report they filed, in pictures and words. This year marked the tenth year anniversary of the Nelsonville Music Festival, and our return to the Historic Village of Robbins Crossing at Hocking College was packed with three days of music, food, vendors, and no rain. It was the perfect setting to soak up the sounds of southern Ohio hills. The festival producers at Stuart’s Opera House pulled out all the stops to make this year’s event the best so far, and they certainly lived up to it. The Main Stage lineup ended with Jason Isbell, a great blend of earnest Alabama-bred country. 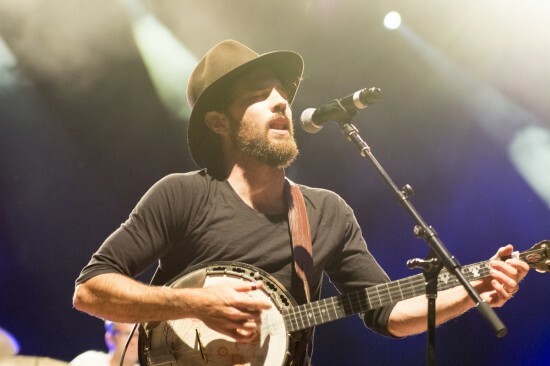 A songwriter that can rock out his roots, with charisma that keeps the audience attached to each song. His powerful and dynamic voice can belt out the hard-lived ballads, and much like when George Jones performed at Nelsonville two years earlier, every word and note felt personal. The stand-out performance of the night was definitely Frank Turner & the Sleeping Souls. Playing as the next-to-last act on the Main Stage, their presence within the first few chords got the crowd filling up the audience pit quickly. Turner’s diverse style choices in his songs cover his rich musical history, from English pub punk to heartfelt acoustic crooners. He and the rest of The Sleeping Souls were clearly having fun with the crowd’s excited response, and joking wit and pun at themselves between songs. Thursday’s lineup featured a double serving of soul music. The funky streak of soul power has become a growing and exciting part of NMF for the past couple years, and it continued this year as well. Charles Walker & The Dynamites got the early evening started in a great direction, punching out a tight mix of upbeat R&B in a very good step that harkened to Sam and Dave and classic Motown. During the set, Mr. Walker told the crowd that he was told to “deliver something for the people,” and he did just that. With each song, he loosened his suit and kept pouring out more soul, until by the end of the set he was belting out with his shirt untucked and leaving nothing behind. The other soul serving for the night, St. Paul & The Broken Bones, headlined the Porch Stage and closed out Thursday night with an action-packed soul revelation. Hailing from Birmingham, Alabama, the band mixed Stax-inspired delivery with down-home Southern stomp, hit to precision with “St. 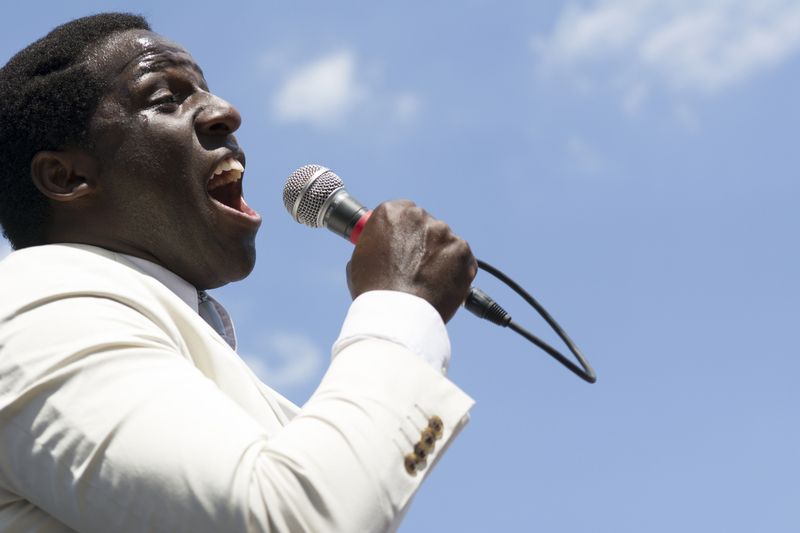 Paul” Janeway’s vocals, a knockout blow of gospel and blues blessed by Wilson or Otis. They’re a true testament to keeping the legacy of soul alive and kicking. The starting performers for NMF represented the thriving Athens, Ohio music scene. As we were walking in from the campsite to the festival grounds, we could hear the reverb-drenched surf vibes of D-Rays, the festival’s opening act, rolling and crashing through the trees. It was a great introduction to the 60s-inspired underground garage beat that melts through central and southern Ohio. 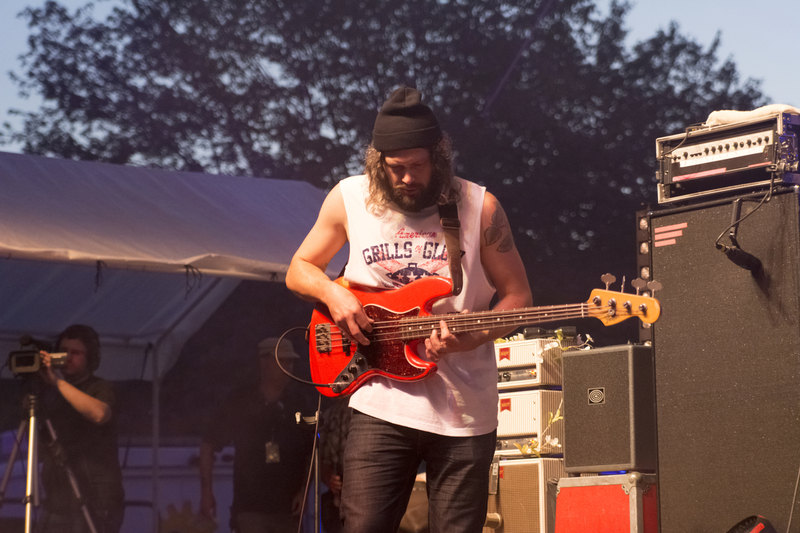 Opening the Porch Stage, Unmonumental (featuring NMF organizer Brian Koscho) greeted early festival-goers with a backhand slap of instrumental epic post-rock jams. It was my first time seeing Dinosaur, Jr. live, and their performance as Friday’s Main Stage headliner was a near-perfect schooling in how to rock louder than you thought was possible. Even from the back of the stage grounds you still needed earplugs and had to scream to talk during their set. J Mascis’ controlled tone-dissecting fury was balanced out by Lou Barlow’s heavy and energetic bottom-end antics. 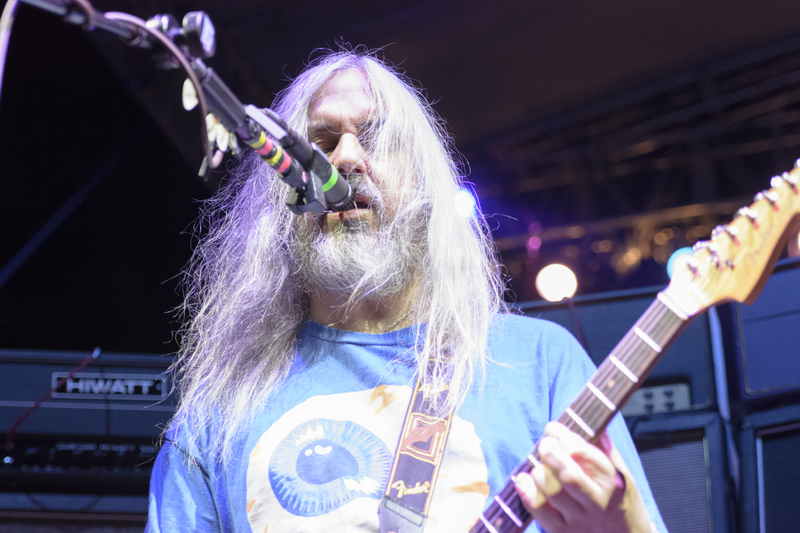 Their set list covered their 20+ year career, from “Feel The Pain” to “Been There All The Time,” and even their amped-up version of The Cure’s “Just Like Heaven.” No one else this weekend was louder than Dinosaur, Jr., that’s for sure. 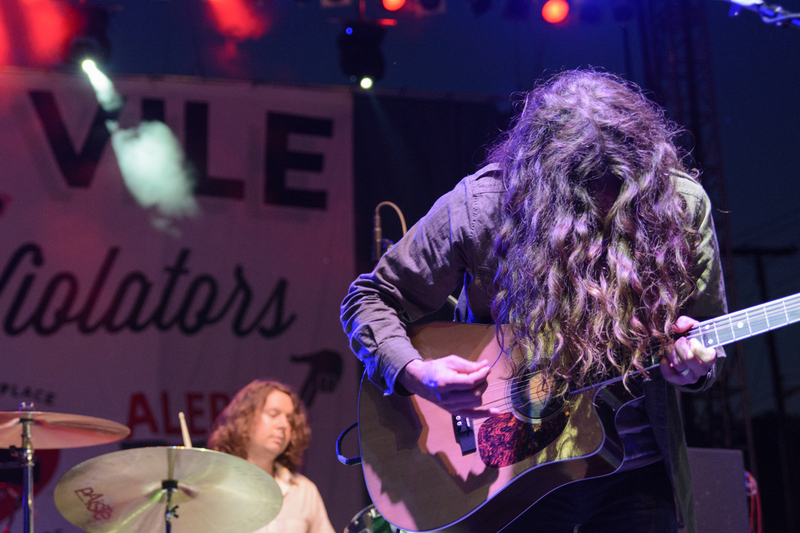 Kurt Vile is no stranger to the Nelsonville stage. In his second visit to the festival since appearing in 2012, he and The Violators once again bring their blended acoustic hook-heavy pop with familiar touches of psychedelic, ambient, and lo-fi folk. Vile’s low-toned and melodic voice lends a hypnotic quality to his songs, very similar to Mascis’ signature murmur. During their set, Vile even dedicated a song to Dinosaur, Jr., and throughout the day both bands could be seen exploring the grounds together. 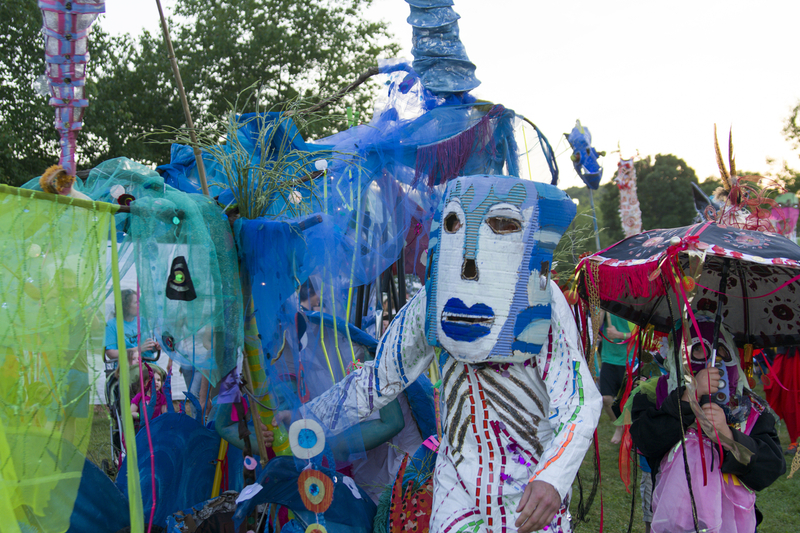 The musical connections between the two groups combined to make the end of day two on Main Stage an awesome display. After taking a brief shade break in the No Fi Cabin and listening to a couple songs from Ben Davis, Jr. (a great storyteller and a strong country/folk guitarist) we migrated to the Main Stage for one of Austin’s anti-folk heroes, Shakey Graves. He was highly recommended and didn’t disappoint. Donning a trucker cap and sunglasses, he rode the audience through a set of solo acoustic numbers as a rollicking one-man band. He was accompanied by a tambourine and a bass drum built from a hard-shell suitcase, both triggered by bass pedals under his heels, stomping to the beat. His personality really shined through his songs and his performances with his buddies on pedal steel and drums. Grupo Fantasma followed on the Main Stage and brought the crowd moving up to the stage and showing their best salsa moves. This Grammy-award winning nine-piece group pumped up the afternoon with a heavy Latin beat, matched with a damn good horn section and solo breaks. 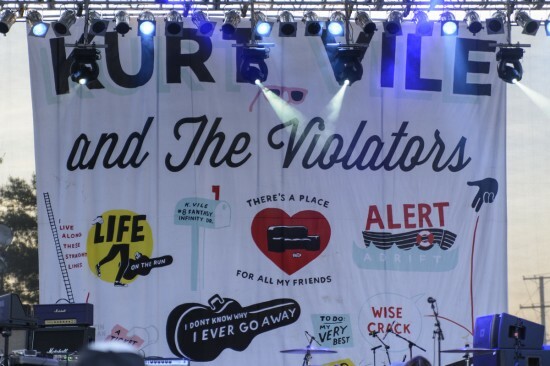 Together, they put on one of the most entertaining sets of Friday. Friday at NMF started with an afternoon Porch Stage session with legendary folk singer and guitarist Michael Hurley. 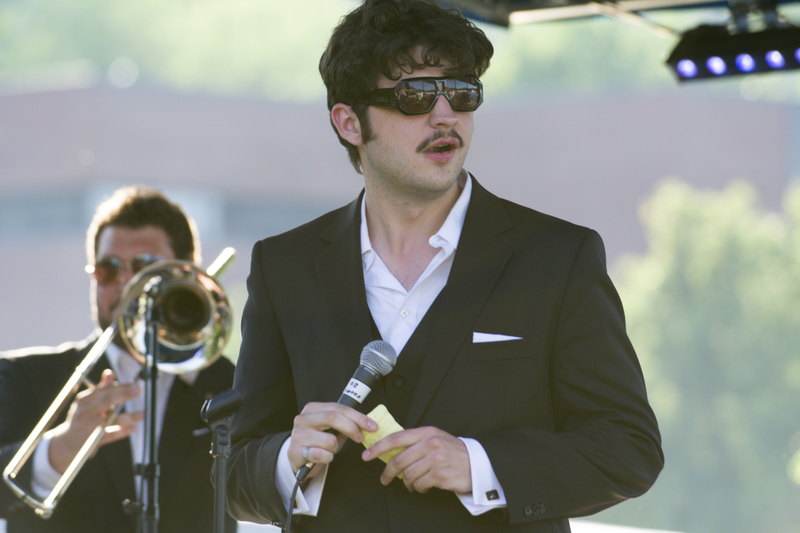 He’s a staple performer at NMF, and I’ve had the pleasure of seeing him each time I’ve been to the festival. The stripped-to-basics approach of his guitar finger style and lyrics showcase why many contemporary acts praise his work. The Total Blam Blams were a nice surprise of good garage rock. They’re a supergroup from notable Athens scene bands (like Hex Net, Southeast Engine, and others), and also help teach music through Stuart’s After School Band program. After being delayed by audio setbacks, The Men showed up and just pounded the hell out of the Porch Stage like they had something to say. They pushed each song harder and kept the swelling crowd partying furiously well past midnight. One of the best performances all weekend. 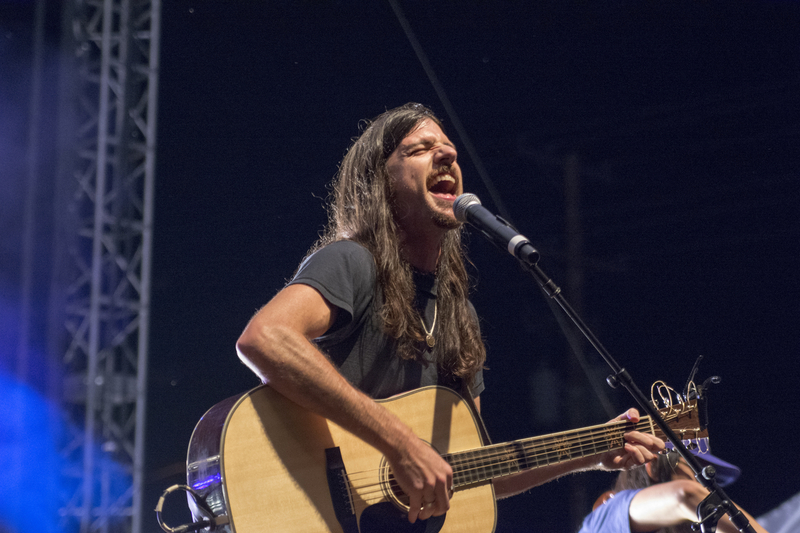 As the day progressed on Saturday, it was apparent who the Nelsonville crowd was here to see: The Avett Brothers. It seemed like one out of every four folks had some kind of Avett Brothers t-shirt. The crowd extended from the front of the stage to the back of the grounds. Fans were here in force and The Avett Brothers delivered an impressive show worth the hype. Even with my limited exposure to their music, it was easy to be won over by their incredible fusion of roots music. Between songs, they expressed how important this area has been for the band, both in continued support and personal influence. The crowd’s reaction through the whole two-hour-plus set (including a surprise cover of Harry Belafonte’s “Shake Senora”) was unending from start to finish, proving that the feeling was mutual. 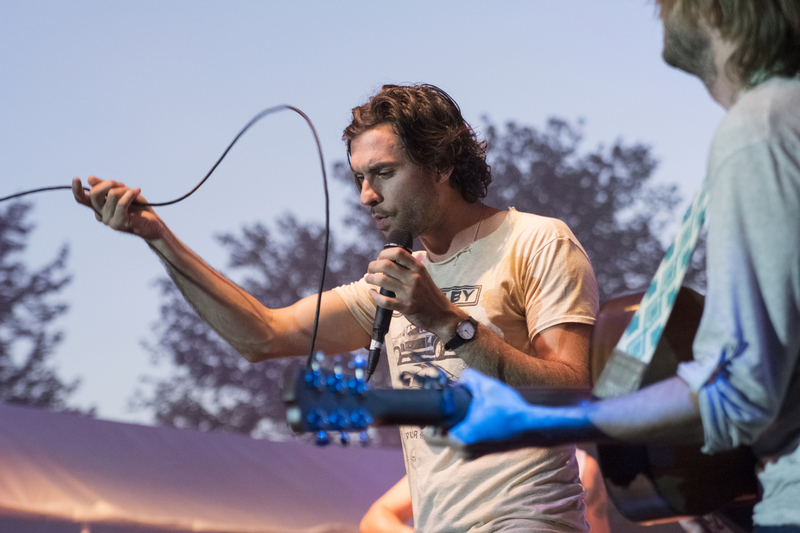 The Head And The Heart certainly caught my interest after their first song. Each member of the Seattle troupe is extremely talented and they made the stage their home with no problem. Their sound is a beautiful fusion of folk, country, roots, and Americana that perfectly suits the feeling of NMF. Wesley Bright and The Hi-Lites have built a reputation for a great live show, and brought Nelsonville two solid sets of their funky Akron Northern soul power. From the moment Bright took the stage, he commanded the crowd with earnest sweat and dope foot skills. With the on-time R&B beats of The Hi-Lites, they poured out dance numbers like “The Loosey” with as much vigor as the slow-dance ballad, “She’s Lonely.” We had the chance to see both sets, and it’s easy to get hip to their infectious spirit. 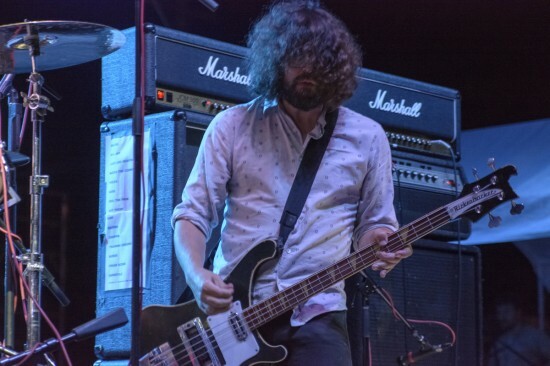 As a five-piece rock band from Dayton, Ohio, Guided By Voices comparisons will happen, but Motel Beds have a dialed-in tone and stage swagger that make them stand out on their own. They ripped through hook-laden rock riffs and high-end vocal harmonies with humor and ease, lighting up the crowd and giving an active second-wind to the afternoon. The lead singer worked every inch of the stage, visiting with everyone in the band, everyone in front, and even climbing on speakers to spread the word. It made for one hell of a good time. 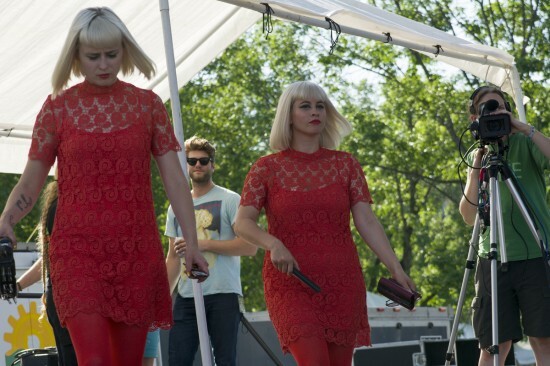 Lucius is hands-down the best dressed band of the weekend. The coordinated and sharp style of their outfits provides an organized sheen to their incredibly complex and undeniably danceable electronic pop. All five members fused live drums, percussion, guitar loops, keyboards, and dead-on multiple vocal harmonies to create a driving beat with more passion than any sampler. 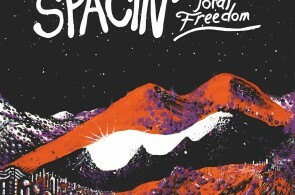 Such an organic approach in a sea of software artists shows that there may be hope for the future of futuristic music. Saturday started off on a very good note with the reverb-soaked garage tunes of Comrade Question from Columbus, Ohio. Their deep stomp-beat drums, fluid vocal harmonies, and hooky solos recall a classic 60s beach psychedelic groove. Even with a broken guitar string through nearly the whole set, they continued to keep a warm reception from the early afternoon shade-seekers. If you’ve never been to NMF, I highly recommend it. You can even camp all weekend in the fields across the street, which is, for me, part of the whole experience. I can’t wait for next year.